A group of Swedish high school students stand by the old ramp of the Auschwitz-Birkenau concentration camp. The students are attentively listening to excerpts from the memoirs of Zioma Zubicky, a former circus artist and former prisoner of the Auswitz-Birkenau concentration camp. The students are immersed into Zubicky’s story of how he arrived to Auschwitz –Birkenau, with a transport from the Drancy transition camp near Paris, and how he was separated from his brother and mother at the ramp. 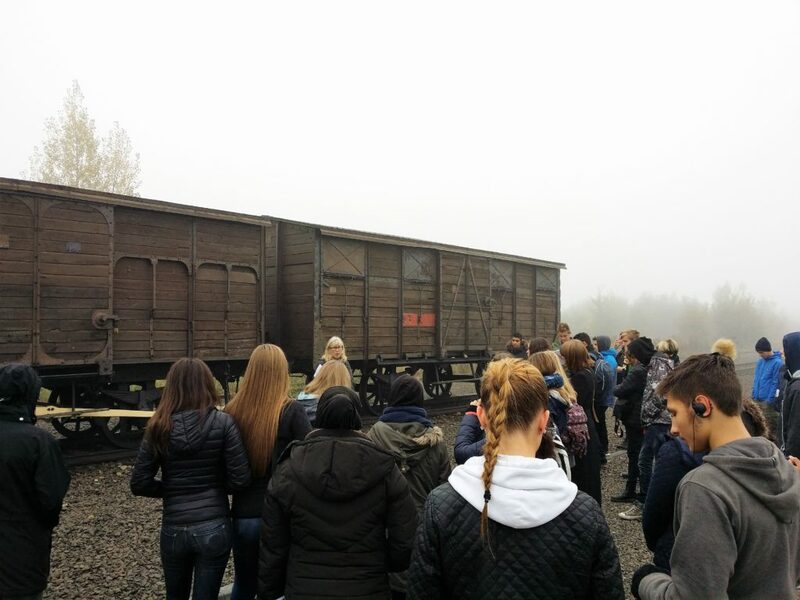 According to the Swedish Committee against Antisemitism, who coordinates annual study trips to the south of Poland for almost 4,000 pupils and adults, personal stories such as these provide students with a more concrete understanding of the horror of National Socialist persecution.